I camped here for 7 days in the spring of 2013 on a waterfront site. This is perhaps the nicest campground I've stayed at. Its a municipal park run by Pinellas County. The sites are large, private, and well spaced. The sites have water and electricity. A dump station is near by. There are several bath houses that are kept clean. There is also a camp store. 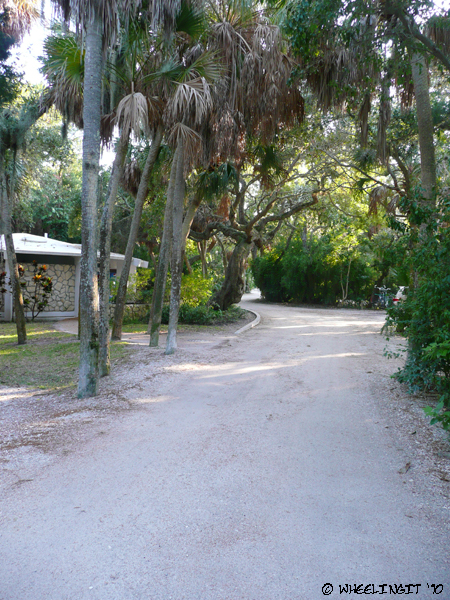 The campground is only one part of the park. 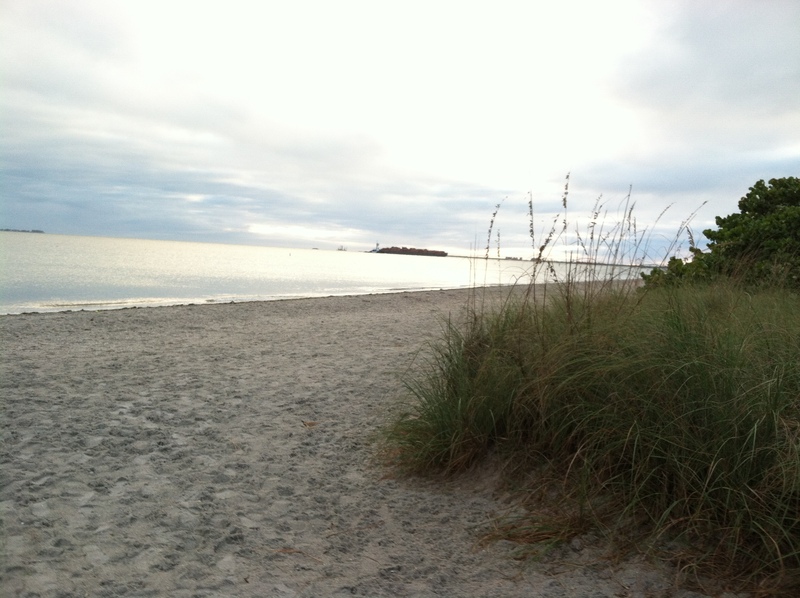 There are three major beaches within biking distance and a historical fort. There is abundant wild life to be seen here, mostly birds. The setting and large spacious sites make this a special place. It is a very popular destinations. I made reservations 9 months in advance to get a site. I camped here in a Class B motorhome. We stayed here a couple nights. My husband caught some fish and we also took our beach chairs and dogs and hung out on the dog beach. The sites are private and the park is quiet. Nice place! 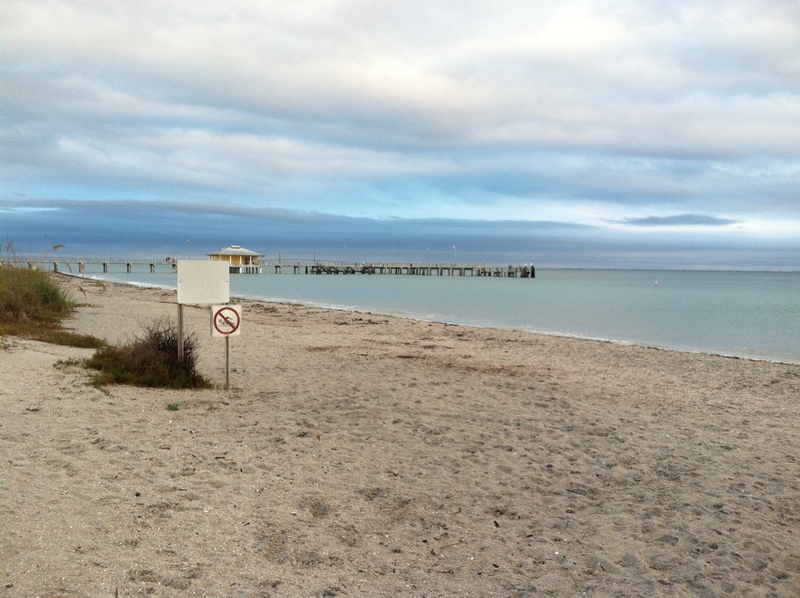 Beautiful beaches, Pets allowed, clean facilities if needed, historic site, staff courteous, convenient store on site. 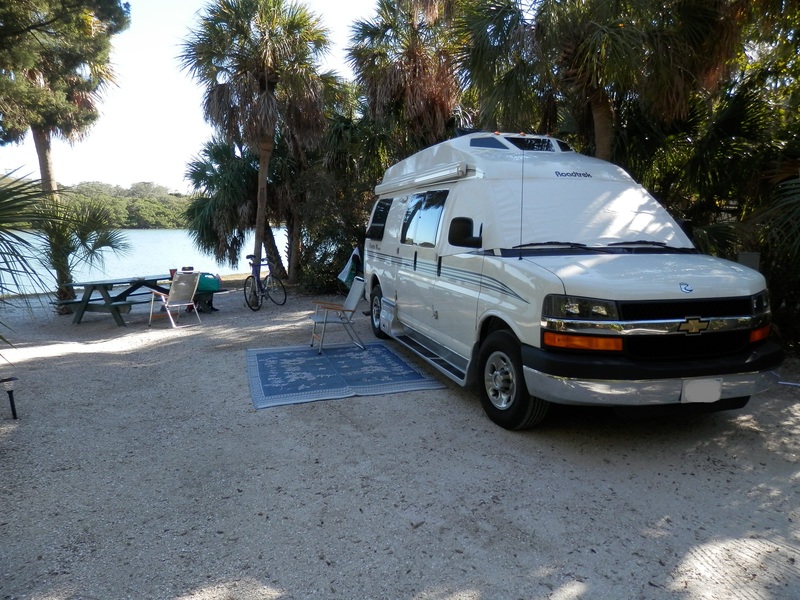 Older camp, dump site only no sewer hook up on camp site, as another reviewer mentioned it is very tight in there but it adds to it's allure of Florida's gulf scenery. Overall I have to admit we were slightly dissapointed in this campground especially given all the hype it seems to get, plus the elevated price. There’s no doubt the nearby beach (a few miles away) is lovely and the fact there’s a gorgeous off-leash dog-beach is a huge bonus, but the campground itself was not all there. It’s clearly an older park and the palm and oak trees are well overgrown which means lots of low-hanging branches, tight roads and difficult access for big rigs, despite long (and in general spacious) sites. It took us 40 mins to get into our first site (#93) which was almost at 90 degrees to the road with very tight trees and, once squeezed in, we got a standing ovation from the crowd that had stopped by to watch the show. In the pet section the beginning (sites 87-103) are the tightest and I wouldn’t recommend them for any big-rig. The road and sites are easier to access nearer the back (site numbers 109-116) and on the right-hand lagoon arm (#128-138). Also, I would definitely recommend booking water-side. The back pet-section sites are up against a dead stream and heavy in mosquitoes, and the pull-throughs tend to be very tight. On the positive side there’s decent hook-ups (20/30/50 AMP and water) and for the sites facing the water you have a really nice “sitting area” and view of the lagoon (where the sun sets too). The park does get fully booked on week-ends with locals, and a tad noisy, but is very calm during the week. The rest of the Island is also quite nice with lots of areas to kayak, miles of gorgeous beach and picnic areas. Overall, I would say we loved the dog beach, and we thoroughly enjoyed sitting in front of our RV and watching the sunset on the lagoon, but the tight acess took a few years off my life and for the price it doesn’t get into our favorites. Extra Info: Verizon aircard worked flawlessly. AT&T was weak, but worked. Sites are reservable $40/night for water-front with 20/30/50AMP & water. Separate pet section. On-site dump station. Laundry.